As I've stated numerous times before, we make a lot of homemade salsa, guacamole and tortilla chips in our household. I love making these dishes because they are quick, simple and can be made a variety of ways. Plus, it's a great way to get my kids to try new types of peppers and introduce them to new tastes and flavors. Since I make guacamole so frequently, a lot of the recipes I have found are often variations of the same basic ingredients. However, I was interested when a recent issue of Saveur magazine had a recipe for Guacamole Taquero (Taco-Shop Guacamole), which included different ingredients than the guacamole recipes I have made previously. This recipe has 8 ingredients, all of which I was easily able to find at my local grocery store. The prep time takes only a few minutes, as most of the work is done in the blender. Honestly, I don't really chop my ingredients very finely since I have a higher end blender, which can handle just about anything. I followed the recipe as stated with no modifications. 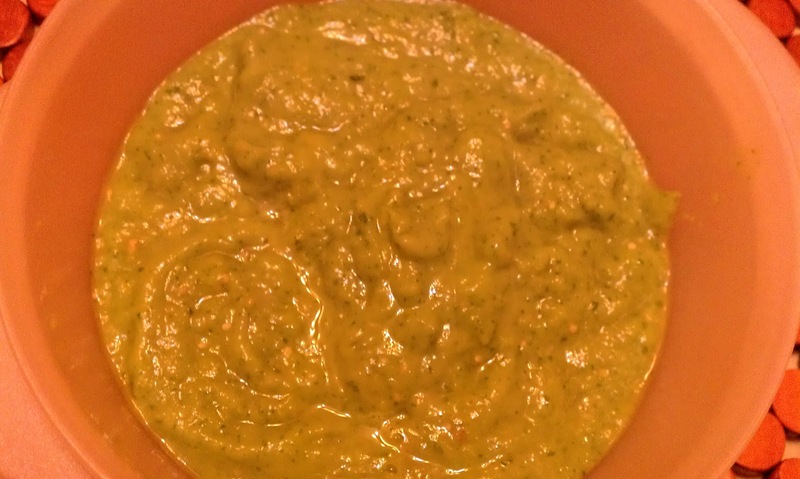 If your used to a traditional chunky guacamole, this recipe is a little different. The texture is thinner, closer to a sauce than a dip. It would be great on a burger or taco and could be easily used with a number of different recipes as a topping. I served the guacamole with homemade tortilla chips, which was also delicious. This recipe is very versatile and could be used for a variety of uses. For the recipe go to Saveur Guacamole Taquero. Thanks for stopping by The Angry Scot, now following you back <3 Keep up the great blog. Thank you for stopping VGBC :) I appreciate it.. I love your blog! I NEVER EVER know what to cook and am always looking for easy, cheap, yummy, ideas for dinner/lunch & bkfst too. I showed this to my neighbor/friend who has 3 kids that r picky as can be. Except her 1 y.o. Abby. Abby LOVES to eat..lolz..
nothing like home made Guac!